Xiaomi (pronounced as ‘ksee-a-o-mee‘) is a privately owned Chinese electronics company with headquarters in Beijing. Being the world's 4th biggest smartphone manufacturer it also develops and sells mobile apps, laptops, and other consumer electronics. When it comes to the said other consumer electronics, the only thing that would probably come to mind is Bluetooth speakers. However, this is far from the reality, as Xiaomi also produces a wide variety of very different electronics. According to IDC, in October 2014 Xiaomi was the 3rd biggest smartphone manufacturer in the world, but, interestingly, in 2014 Xiaomi took over Samsung in the Chinese market, becoming country's largest. So it might be just a matter of time until they move further up on the global scale. So what other awesome products does Xiaomi make, except for this amazing transformer tablet (that we are happy to inform you has met the crowdfunding goal by 100%)? As it turns out, a bunch of different things, all of which have one common trait: very high quality. I'm not over-hyping it a single bit: anyone who ever owned a Xiaomi product can attest to that. In this article we have collected some of the best Xiaomi products. A Bluetooth toothbrush by Xiaomi is an interesting device. First, you need to pair the toothbrush with your smartphone via an app, and set it up. You can set the length of a session and add custom tasks, like brushing tongue or massaging gums. Soocare X3 features a magnetic levitation acoustic wave motor. The frequency of its vibration can reach 37,200 times per minute. A pretty impressive built-in 1000 mAh lithium battery takes 16 hours to fully charge it, however, the brush can operate up to 25 days on a single charge provided you use it for 4 minutes each day. Xiaomi kettle is made out of high-quality metal, and it also acts as a thermos – the water retains the warmth for up to 12 hours. You can also use it via the app, and set the time when it turns on. Which means you can always have the hot water available when you wake up. The future is here, you guys. Another product that you probably didn't expect Xiaomi to have made, yet here it is. The floral monitor samples the soil, and alerts you if something is needed. You can select the plant from the list, and it will tell you if the soil is suitable. It also alerts you when the plant needs to be watered. This mosquito repellent is an interesting market to get into. But Xiaomi has repeatedly shown us it is not afraid of taking risks. The MIJIA Portable Mosquito Repeller lasts for up to 15 hours when plugged to Mi Power Bank Pro 10000mAh, and up to 28 hours when plugged to a 20000mAh one. Its small size and weight make it very portable. But you still need one of those wacky pads that you can buy at stores. Yeelight is a lot more than you would expect from a desk lamp. You can pick your favorite out of 16,000,000 colors from the app that also controls the hue and brightness, or by tapping the top (which in its entirety is a touch panel). There are options to turn the light on or off at a set time, switch between 4 colors of your choice, and adjust the speed of pulsation, if you choose to enable it. Xiaofang is a smart WiFi IP camera that features 1080P Full HD video, enhanced 9-meter night vision, and mobile sound detection. Xiaomi added innovative functions such as multiple camera linking and sharing, special special intruder alarms – it can start recording and notify you when there is movement. It can even detect a sound of a CO2 or of a fire alarm. The camera has a magnetic base, which helps with mounting it to metallic surfaces. It can be used with a power bank, or it can be connected to a computer via USB. Xiaomi drone comes with a 4K camera that can record in 30FPS. For the $500 it is a very impressive machine with all the features that you would expect from a high end drone like DJI (against which it compares pretty well): low battery detection that automatically returns it to the takeoff spot, it can follow the predetermined route, or hover around objects on the map, and it has a real-time location tracking feature that can help retrieve in emergencies. This smart watch lets you take and make calls, view your text messages, it has a heart rate monitor, etc. etc. Just look at the pic below to get a better idea, because, you know: a picture tells a thousand words. 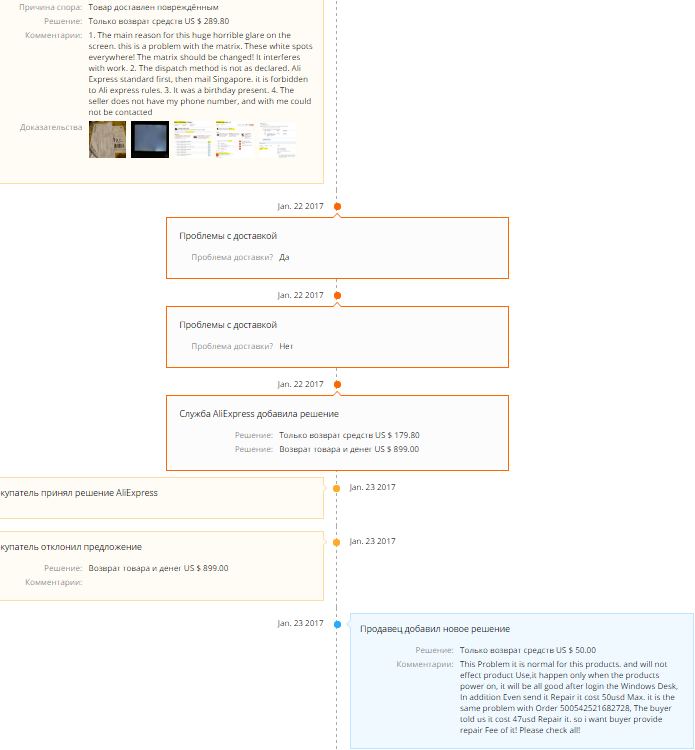 Most people would probably automatically dismiss ordering a laptop from AliExpress, which is totally understandable, but a bunch of Russians who did it have positive reviews, apart from a couple that had issues with the backlight bleed (for which $180 was refunded via dispute). It has a 13.3″ full HD display, a 256Gb SSD, a 720p webcam, and it is thinner than its main apparent rival – Macbook Pro. It's just a pen. But you probably still wait it for some reason.